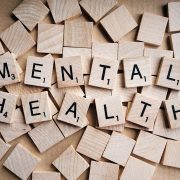 What is mental health law? Most of that law is contained in an Act of Parliament called the Mental Health Act. It has been amended several times and this year there has been further discussion about changing it. Sometimes a person who has a mental illness is unaware of how bad it is, how it affects them and others, or whether they are ill at all. They may not always be able to make sound judgments. The law can allow others to make decisions on their behalf, including medical treatment, even when they refuse. It is a delicate balance between wanting to protect people’s right to make their own decisions and the need to keep them and the public safe. Often, we find that a person has been gradually getting ill over a number of years. Their family have been trying to get help and it has reached a crisis point. The patient is admitted to hospital for a few weeks and then discharged. With little time to prepare, carers and family members find it difficult to access the necessary help and support when it is needed. As specialists in Mental Health Law, we get involved when patients apply to a Mental Health Tribunal. The patient has a right to apply when they are detained in a psychiatric hospital and legal aid is available for this. The tribunal is an independent panel of specialists who review whether the detention is necessary. Some patients are in hospital because they have committed a criminal offence and the court has sent them to a hospital to get treatment rather than go to prison. http://www.pickupandscott.co.uk/wp-content/uploads/2017/10/mental-health-2019924_1280.jpg 853 1280 @framework http://pickupandscott.co.uk/wp-content/uploads/2017/09/pickup-and-scott-solicitors-aylesbury-logo.jpg @framework2017-10-02 12:03:212018-01-16 12:56:25What is mental health law?